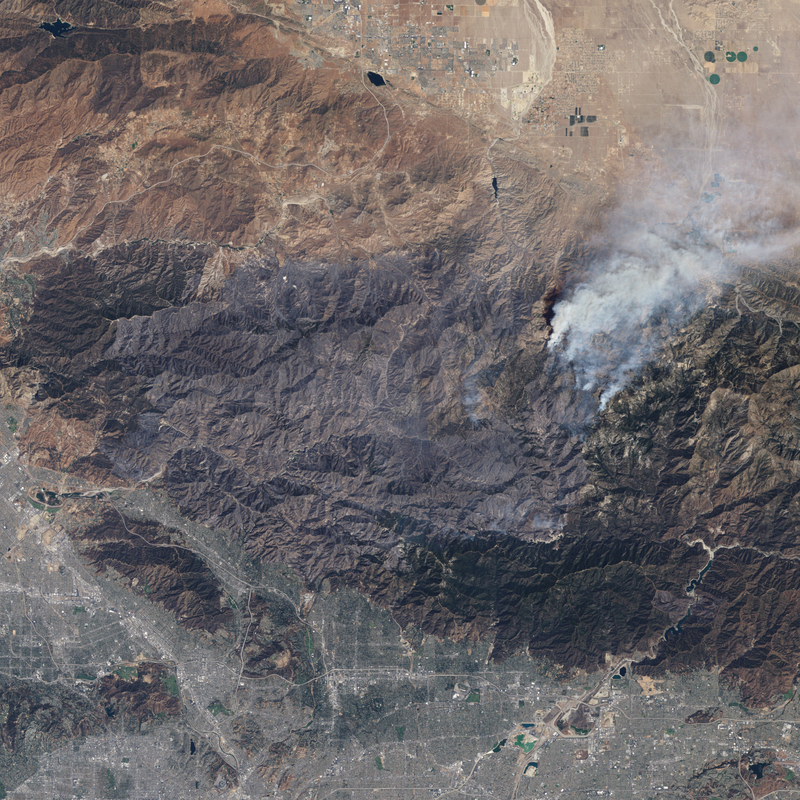 The Station Fire burned through the mountains east of Los Angeles throughout the end of August and into mid-September. 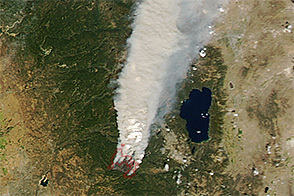 These images, from NASA’s Landsat satellite, show the fire on September 7, 2009. The fire was more than 50 percent contained when the image was taken: only the northeastern front of the fire was still active. 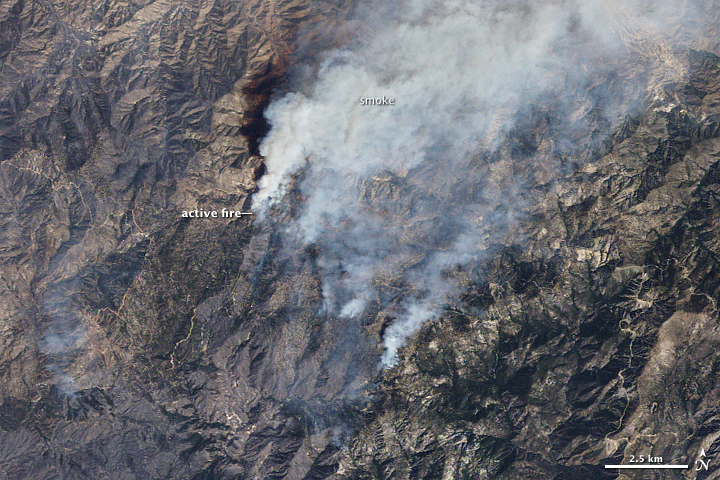 The lower, true-color view of the active front shows plumes of smoke billowing from the fire. 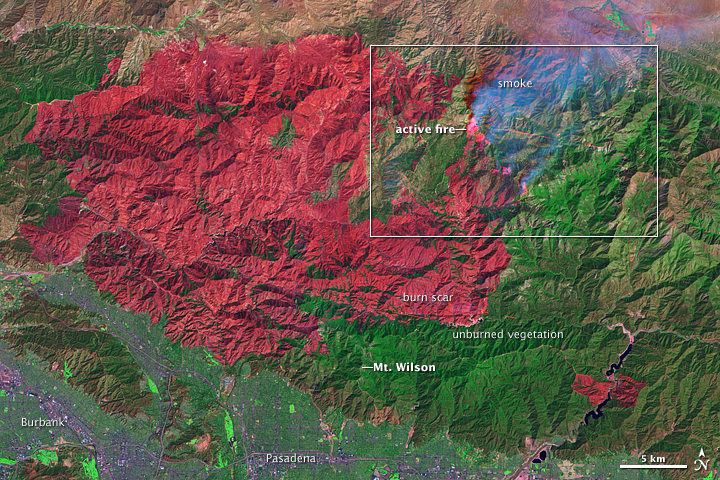 The top image illustrates the extent of the fire. 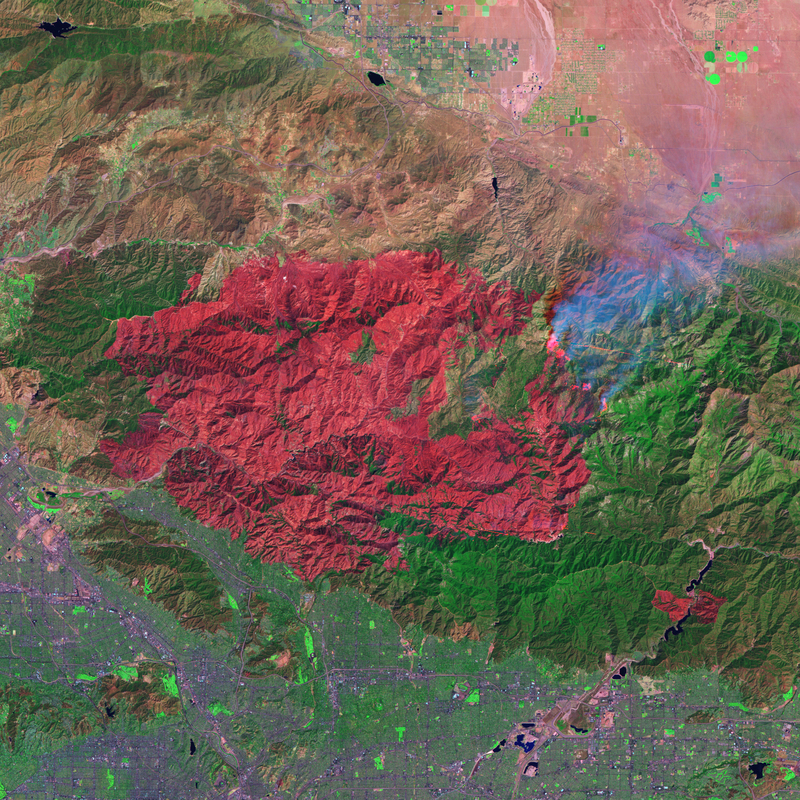 The image is a false-color image in which burned land is bright red and untouched vegetation is green. The cities of Burbank and Pasadena are blue. 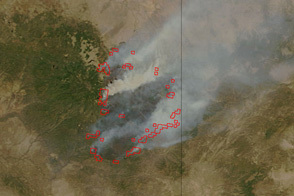 The burn scar for the Station Fire covers a vast area, more than 250 square miles as of September 17. It was the tenth largest fire in California since records began in 1933, said the incident report for the fire. 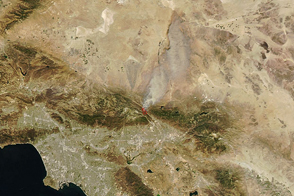 This false-color image illustrates the extent of the Station Fire in southern California. InciWeb. (2009, September 17). Station Fire. Accessed September 17, 2009.